A writer, poet, successful entrepreneur, accomplished fine art photographer and fashion designer, Andres Aquino is also the founder and producer of Couture Fashion Week in New York. 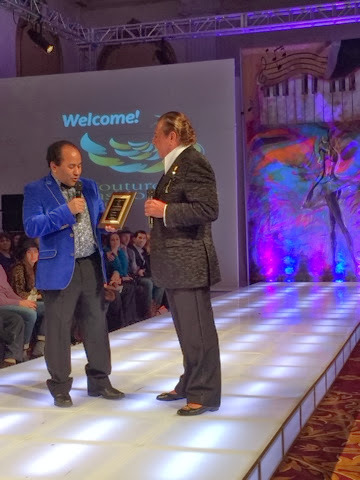 He has received multiple awards for his contribution to the fashion industry including the EL Award (El Diario New York), Legacy Award (Latin Fashion Week, Washington, D.C.), and Style Fashion Leader & Inspiration Award (SUNY Westchester Community College), among others. His fashion designs are consistently classic and elegant in their construction, with a focus on allowing the wearer's natural beauty and style to shine through. His creations have been shown on the runway in Dubai, Romania, India, the Dominican Republic and USA among other locations, and his work has been featured in top fashion publications and media around the world.